Mid-size enterprises hoping to use DevOps to its full potential face unique challenges not usually encountered by their larger and smaller counterparts. "These organizations often have difficulty undertaking an end-to-end transformation, as the business frequently does not see the immediate value that the large organization sees," said Mike Wolf, managing director, digital enablement, for professional services firm KPMG. Wolf was one of several experts sharing advice on how mid-size companies can succeed with DevOps. Changing years of ingrained processes, established ownership boundaries and modernizing the way new offerings are brought to the marketplace are significant undertakings, regardless of an enterprise's size, observed Joe O’Brien, senior manager of IT cloud automation for analytics software provider SAS. "Mid-size companies may have fewer resources to draw from compared to global enterprises, but smaller can also be viewed in a positive light as it can come with fewer constraints that lead to greater agility." For many mid-sized businesses, simply getting started in DevOps is the biggest stumbling block. 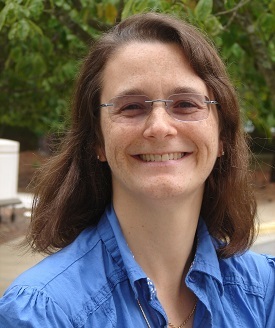 "Launching a DevOps initiative requires financial support for adoption and training — not to mention, it’s a huge cultural change," explained Rosalind Radcliffe, an IBM distinguished engineer. She noted that the first step should be to obtain executive buy in. "Without support from the top and agreement on the mission to implement DevOps, shifting company culture and processes will be an ongoing struggle across your organization," she noted. Along with executive support, it's important to build the right planning team. Focus the search on managers who are familiar with DevOps and are eager to introduce it into the organization. "Have this team start the transformation in an area they can get the most benefit from quickly," Radcliffe recommended. "Start somewhere, learn, then move on with that first team while starting to take the new practices out to other teams," she said. At many mid-sized firms, teams jump into DevOps too quickly, disrupting established workflows and creating a general state of chaos. "It's important to tackle one step at a time and start slowly," suggested Frank Kim, curriculum director at the SANS Institute, a cybersecurity training and certification organization. "Development, operations and security teams must ensure new security steps are working properly, evaluate results, fine tune scanners and minimize false positives before even considering disrupting the workflow." Mid-sized businesses often fall into the trap of becoming enamored by what the big companies are doing and then trying to replicate their success with a cookie-cutter approach. "DevOps, like each company’s products, are inherently unique and need to be designed and implemented as such," observed Shailesh Rao, COO of BrowserStack, a testing infrastructure provider. "That isn’t to say that one mustn’t learn from others who have been successful; the key is to create a path that works in each company’s best and unique interests." KPMG's Wolf advised mid-sized organizations to check out the emerging crop of cloud-based SaaS DevOps offerings, which allow adopters to assemble a continuous integration/continuous development (CI/CD) pipeline quickly and efficiently. "Using the inherent agility of mid-sized organizations and the ability to adapt new tools and cloud-based workflows will allow the organization to concentrate its efforts on other elements of the value stream, such as design-thinking," he said. "This will allow organizations to streamline and improve the requirements process and shift toward meeting customer expectations faster and better." Mid-sized enterprises often make the mistake of changing their culture, yet not fully explaining the shift's impact on managers and employees. 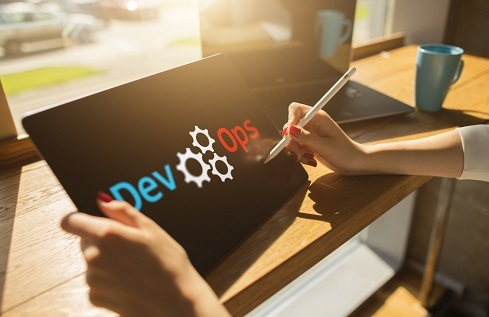 "If a business moves from a traditional environment to DevOps, it can cause confusion," observed Ray McKenzie, founder and managing director of Red Beach Advisors, a business management and consulting organization. "It can alienate employees and team members; it can reduce productivity and morale." The best approach, he noted, "is to be open, explain roles, explain changes, and explain how things will be done within the new culture." Mid-sized enterprises also need to inform their staff about the various intricacies and quirks of DevOps culture. "The teams should understand what the core principles are surrounding automation, collaboration and feedback," McKenzie stated. "The teams should also understand what tools are used within DevOps to evaluate proper tooling to complete tasks and initiatives." Managers also need to be ready to lend support to whoever needs it. By spending quality time with struggling teams and team members, and by hiring trained coaches to aid in the transition process, organizations can eliminate or reduce the pain of common DevOps headaches. "Coaches ensure that the DevOps culture remains top-of-mind—something that typically doesn’t come naturally without reinforcement," Radcliffe said. Another common mistake is not giving people enough time to learn. "Businesses will slow down before they speed up, and it’s critical to give people the time to learn as part of the transition to DevOps," she explained. Mid-size enterprises adopting DevOps should always place a focus on continued learning and innovation. "There are new approaches, systems, tooling and code being used regularly on various platforms and each should be evaluated before introduced it into your environment," McKenzie recommended. "Developing a standard way or framework of operations is key to the growth, development and release of code to the infrastructure." Change is hard on both managers and staff. "Mid-size businesses should keep in mind that transformation won’t happen overnight, but that growing competency over time will result in sustained success," Radcliffe said. Make sure you start small, grow, experiment with a process change with one team, and adapt it to work within your organization. "Once DevOps is mastered within that team, you have an internal case study to encourage adoption across the entire organization," she noted. To learn more about DevOps, check out these recent InformationWeek articles.